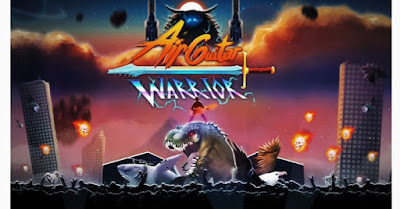 Air Guitar Warrior gameplay is part scrolling shooter, part music game and full of rock attitude. and you are meant to control the music which Includes 19 custom-made tracks from Mr. Fastfinger and Samppa Siurala. Shoot bullets, lasers and lightning from your air guitar! Ride dinosaurs, sharks and jet-powered crocodiles! Smash vikings, aliens, demons and flying skulls. You will have, to journey to find the legendary sword-guitar and challenge Heavy-hard Metal Zeus (demi rock God) for the top spot in the temple of the rock gods. It’s time to rock it out! MEANWHILE WATCH OUT Xander, Lucina and Camilla as they come out in their new outfit.